[ADVERTISEMENT] This is a sponsored post. This article was written by me and all opinions are 100% mine. 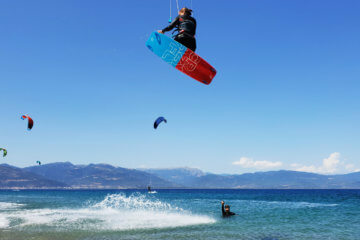 There is one thought, that keeps crossing my mind – if only I learnt kiteboarding earlier.. So here is to all the teenagers that are wondering what it would be like or all of the non-kitesurfing parents who are thinking about which sport to choose for their children. If I remember how quickly I picked up snowboarding at the age of 13, how many times I fell and didn’t even feel any pain because I was way too excited to ride down that mountain, no matter what it took… I can only imagine how much fun it would have been to learn kitesurfing at that age and what incredible progress I would have made. Teenagers aren’t as afraid as adults are and already have more perception of their own body than kids. They pick up new information super quickly and can translate them into immediate action. Coordinating the kite and board at the same time will come way easier for them than it does for an adult. We all know we experimented a lot as teenagers, test boundaries, see how far we can go. Kitesurfing is the perfect sport to do all of that without any negative consequences. You clearly feel your boundaries and sometimes fear, you have to go through them and deal with them. You grow every session, get positive feedback and are simply happy because all of the positive vibes around you. 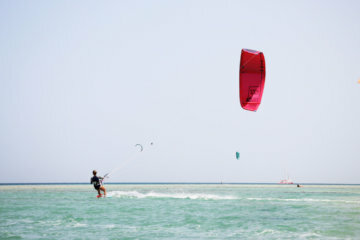 You will very soon feel that kitesurfing is addictive, but – good for you – you choose the best addiction one could choose: one that will make you happy, fit and fulfilled. If you are kitesurf addicted, you will start traveling to the most amazing destinations, get to know new cultures, people, food and ways of living. You will see how people live in other countries and thoughts will cross your mind, that would never have popped up if you weren’t in a different country or spot. You will question or reaffirm your believes about life, especially your life at home, and re-evaluate certain events, relationships or friendships. It’s like zooming out of your regular life and looking at it from a distance. You will make a lot of wonderful memories you will then take back with you into your everyday life. If you are landlocked like me or live at a spot where you can only kitesurf during a certain season of the year, you will start exploring spots far away, following the sun and wind around the world. The beauty is that, when you kitesurf, you will get in closer contact with the locals than you would just traveling through and most of the times you also have to find a way to communicate with them. You start off with some body language and hand signs and after a week or so, you will want to learn some words, to be able to talk to each other. I learnt Spanish when I was teaching kitesurfing in Dominican Republic, because it drove me crazy that I couldn’t communicate. The beauty was, that I learnt it so easily and without even having the feeling that it was exhausting to learn, because it was amazing to just go out every day and talk to the people I met. Every time I would hear a new word, I would memorize it and use it proudly the next day. Talking the language brought me way faster into the local community than other people, who lived there for years but didn’t speak a word of Spanish. 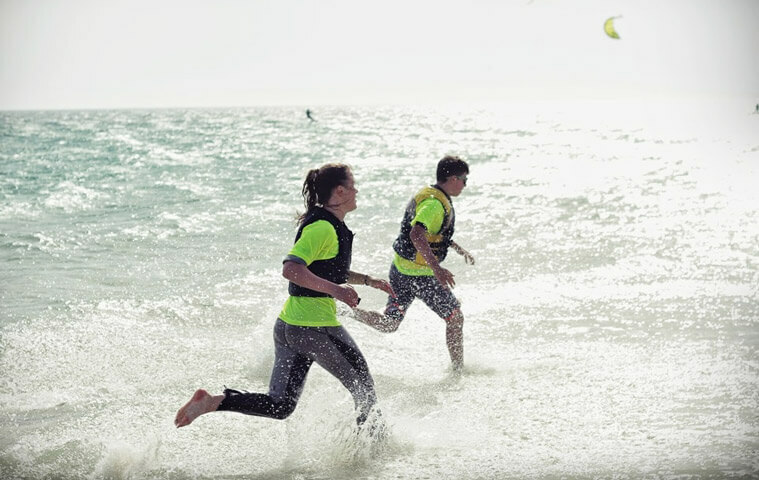 A stunning opportunity for combining both, learning a new language and kitesurfing, is Lenguaventura for teenagers in Tarifa. 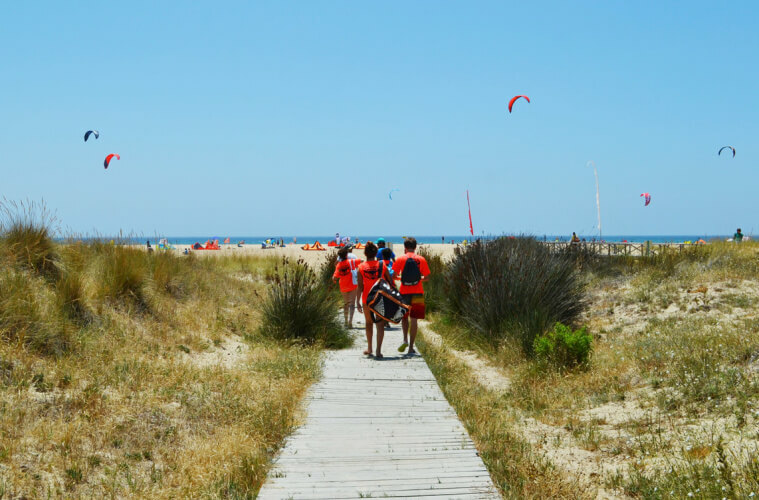 You will have language lessons in the mornings and kitesurfing lessons in the afternoon, so you can easily just practice everything you learnt in the morning lateron at the beach. Truth to be told, I was never a really popular kid in school. Actually I can’t even describe how happy I was when I finally graduated high school. In our class there were always groups of people hanging out with each other, and for some reason I didn’t really ever belong to any of them. I felt like an outsider. Traveling helped me meet new people, out of my everyday environment, define myself far away from home, where nobody knew me and I felt free. 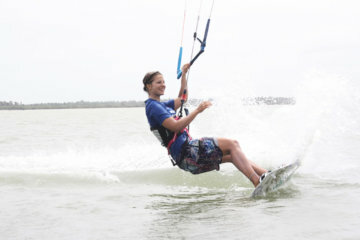 Especially when traveling for kitesurfing, I feel like everyone is the same on the water. The clothes you wear or objects you possess don’t matter… The only thing that matters is the love for the ocean and a sport, which you share and which brings you together. 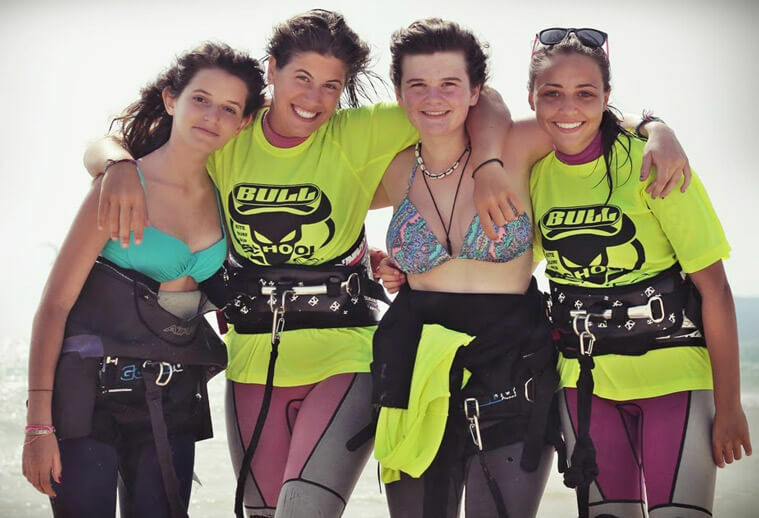 Kitesurfing is one of the easiest sports to meet new people and make new friends. And, without me even expecting it, I felt like I really belonged somewhere for the first time. You become part of a community, that within itself is so diverse, and still everybody burns for the same passion: being at the ocean, jumping and feeling like flying and literally kitesurfing your heart out, having the fun of a lifetime. You will meet a lot of like-minded people from all over the world. Traveling and getting along in a new country is the one thing that boosts your confidence immensely. The other is, if you learn doing the waterstart for the first time or learn how to do your first turn. You just feel like the king of the world and will take that uplifting feeling home, back to your regular life, with you. Not without a reason kitesurfing is called an extreme sport. Even if it is super safe nowadays, you will get into an situation that scares you. Might even scare you a lot. And you will deal with it somehow, manage to pull through. Get out of the water with shivering legs. And a few hours feel stronger than ever. Because you went through the fear. Often enough in our everyday life, you will face situations you will be scared of. The little successes, like you had in kitesurfing, will show you you could already manage this once and give you power and faith that you will also manage this time. No matter if you go kitesurfing with your parents, friends or join a camp: you will have situations where no one can hold your hand. At some point you’re responsible for putting up your lines in the right way. You have to know how much to pump your kite. When you’re on the water you have to know what to do when you’re kite crashed. There will be plenty of situations you will have to learn to solve on your own. Which is actually a lot of fun and you will be incredibly proud of yourself afterwards. And little by little become more independent doing what you love. There is not that much to add to this. 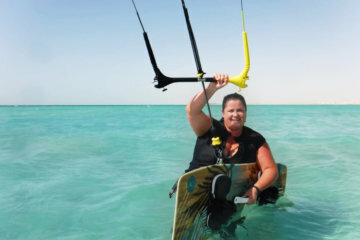 To me kitesurfing is “the thing”, the element in my life, where I just have pure fun, a combination of a meditative state of mind while having adrenaline rush through my blood at the same time. And you can’t start early enough with having fun, right? So, did I spark your interest? 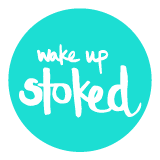 Are you thinking about giving it a try (Or do you still have those little voices in you head, why you shouldn’t – then check this out)? Well, there is only one way to find out if all the things I said are true: you have to try it out and experience it yourself! Go for it!